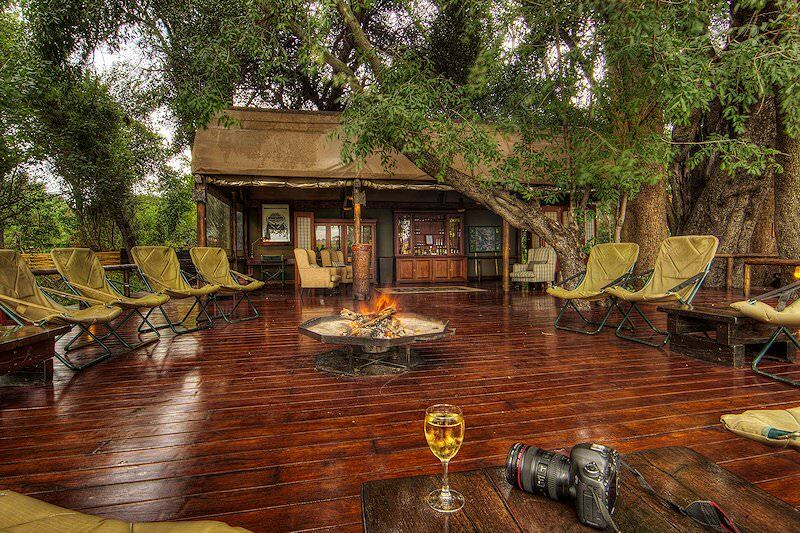 Savor intimate five star safari accommodation in the heart of Botswana's Okavango Delta at Shinde Camp. 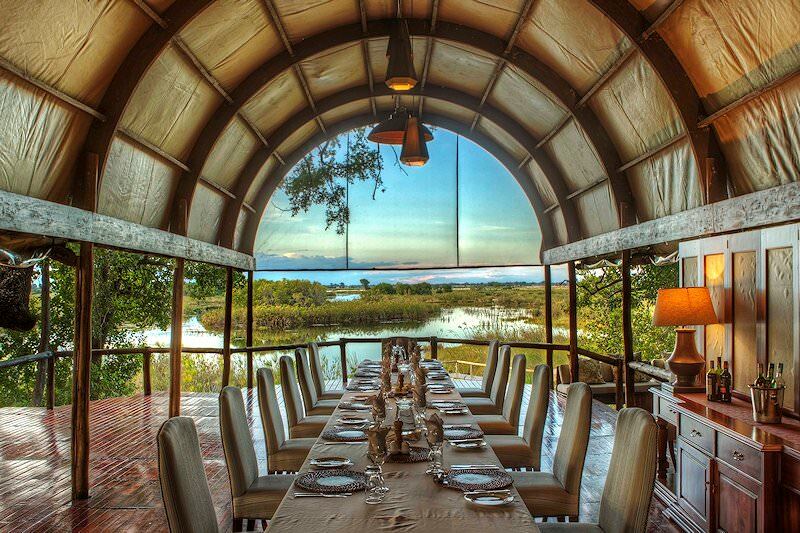 Set in the northern reaches of the Okavango Delta in Botswana, Shinde Camp overlooks permanent waterways and lush green plains. 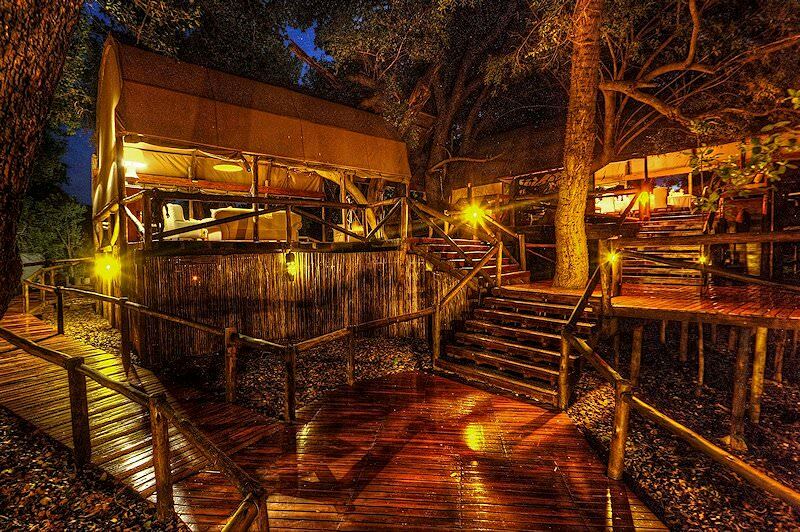 The camp is built on raised platforms in between indigenous trees creating a feeling of being in a tree house, which is quite appropriate, as the word “Shinde” means “tree squirrel”. The camp is situated close to the edge of the Shinde Lagoon it was named after. The varied surroundings, consisting of waterways, grassy plains and the lagoon, provides an extraordinary diverse landscape teeming with a vast array of birds, mammals and fish. 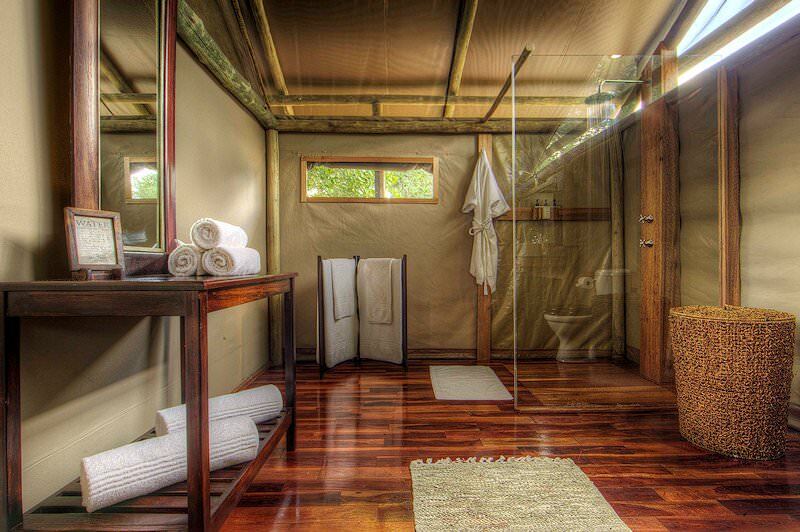 Intimacy is the order of the day, as there are only nine tented chalets. 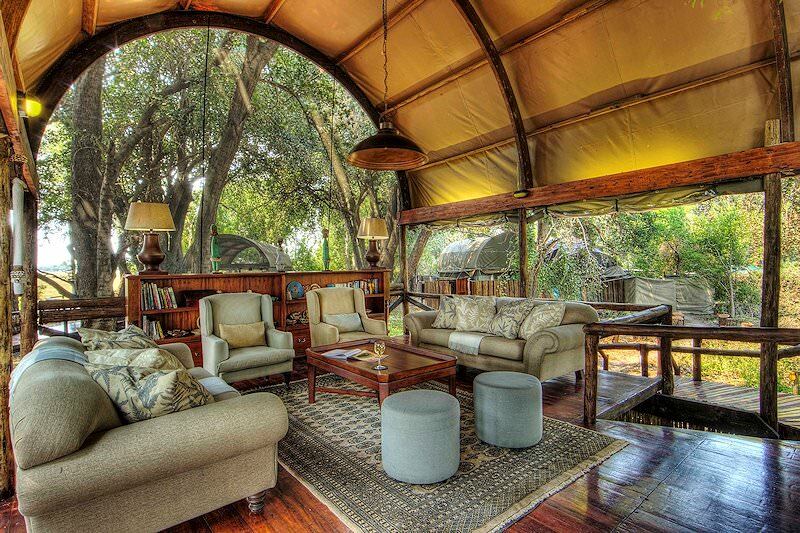 All the tented chalets are set atop a raised wooden deck complete with a shaded porch. 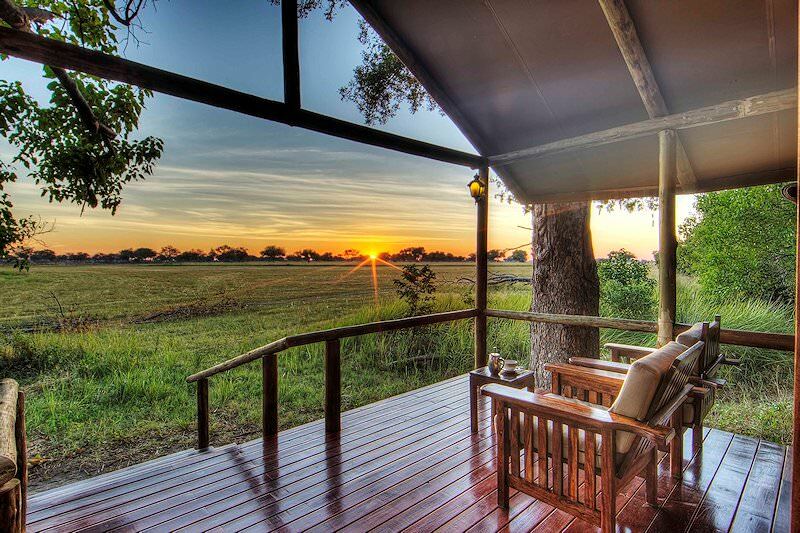 Five of the tents overlook the grassy plains, where antelope are abundant, while the rest overlook the waterways. An inviting African ambience is prevalent in the rooms, as they are furnished with polished teak floors, dark wooden furniture and leather-bound trunks and night stands. The rooms are fitted with twin beds, but can easily be converted to double beds on request. 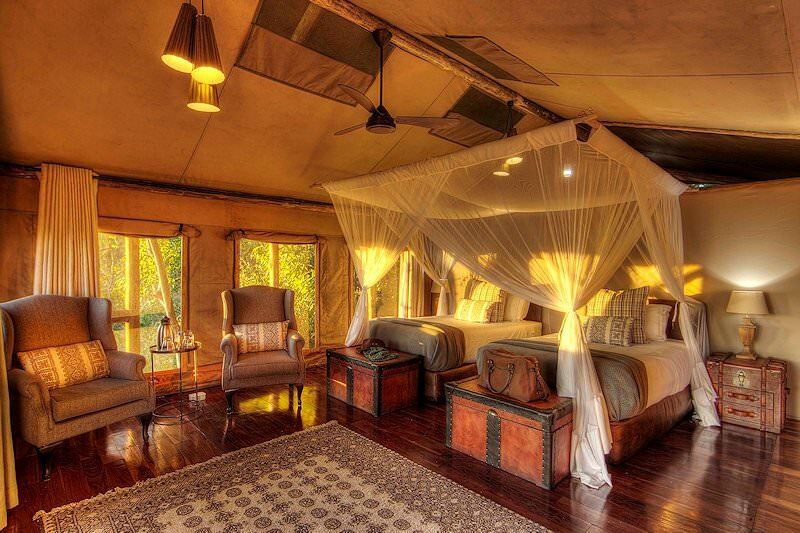 To keep insects at bay, there are hanging mosquito nets over the beds and mesh on the windows. A ceiling fan can help guest to cool down in the warm summer months and canvas blinds help to keep heat inside on cool winter nights. Separated by a wooden door, the large en suite bathrooms contain double porcelain basins, a walk-in shower, flushing toilet and a large mirror. Gourmet meals are served throughout the day, starting with an early breakfast before the morning activity and then a buffet lunch is enjoyed after. Before the afternoon activity, afternoon tea is served alongside savory snacks. Dinner follows the afternoon’s adventures. 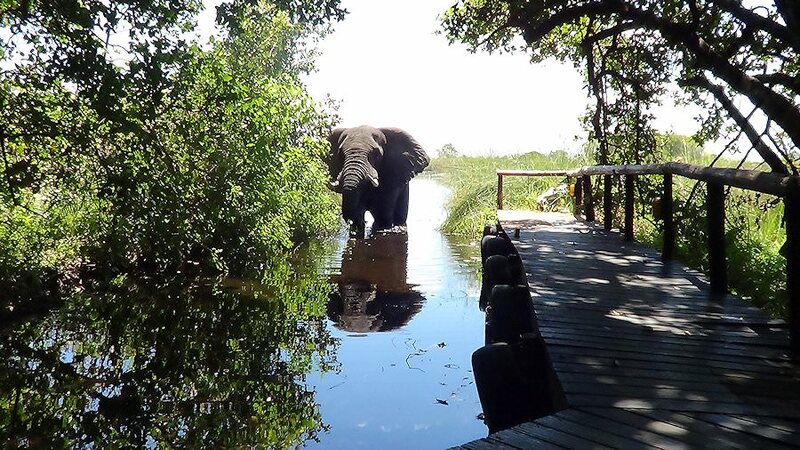 A wide range of activities can be enjoyed on a Botswana safari at Shinde, including open-air 4x4 game drives, fishing, powerboat cruises and mokoro trips are available. Water-based activities are subject to the water level, but Shinde has more consistent water levels than most other camps. While animal sightings can never be guaranteed, ample wildlife is found consistently on game drives, with a high concentration of endangered wild dogs in the area providing rare encounters. The permanent water hosts a great variety of bird life and numerous fish species. South Africa is the continent's most diverse tour and safari destination. 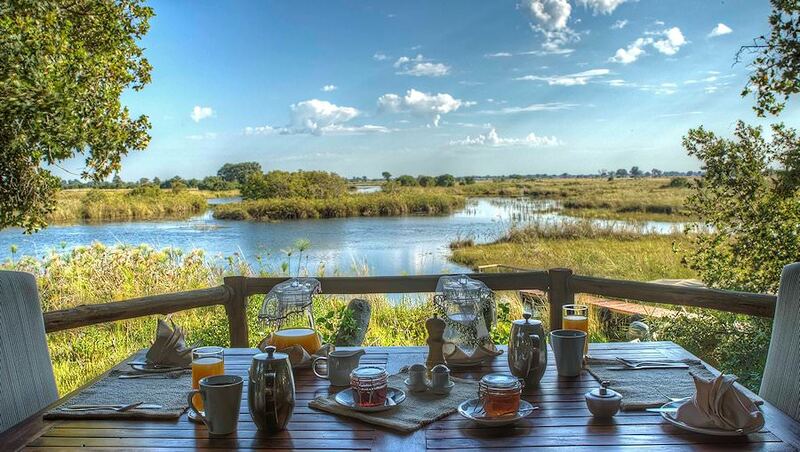 Botswana is a safari enthusiast's paradise, conserving extraordinary wilderness areas. Namibia offers unique and rewarding African safari experiences. 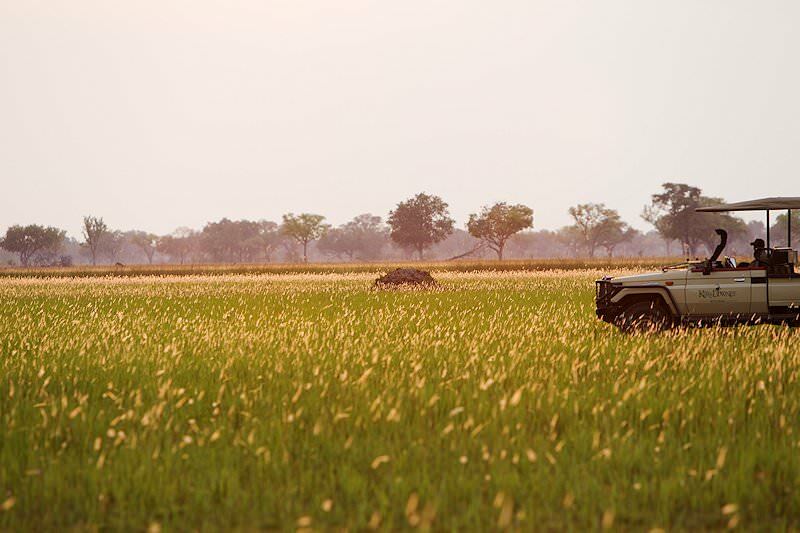 Zambia's finest national parks range from Kafue to South Luangwa. Zimbabwe's major drawing card is the spectacular Victoria Falls. Mozambique is known for its remote beaches and stunning islands. 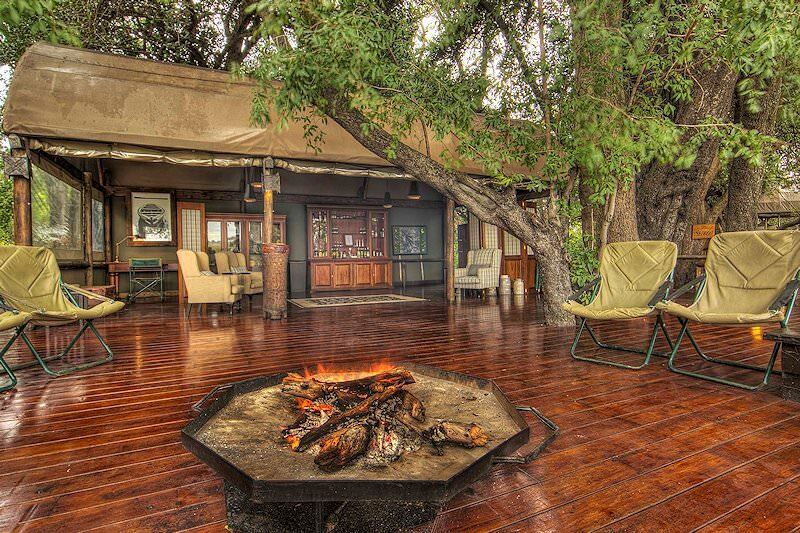 The Kruger National Park is South Africa's top safari destination, unparalleled in its diversity and natural splendor. 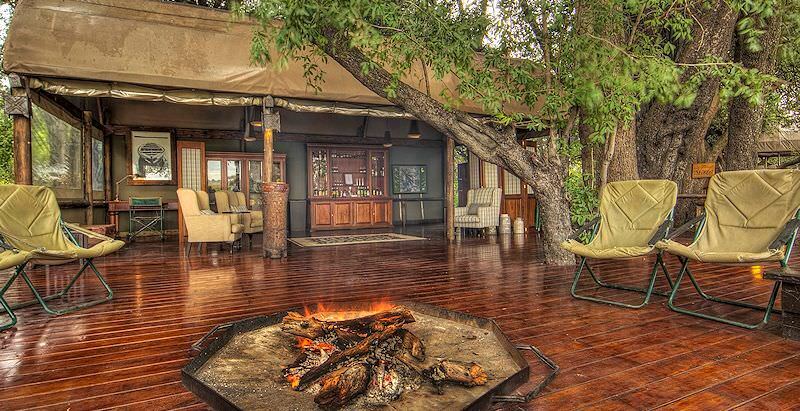 A luxury safari with African Sky will transport you to a remote corner of the continent where you'll enjoy startlingly sumptuous accommodation. The Big Five are Africa's most awe-inspiring mammals, a quintet of majestic creatures that will take your breath away. 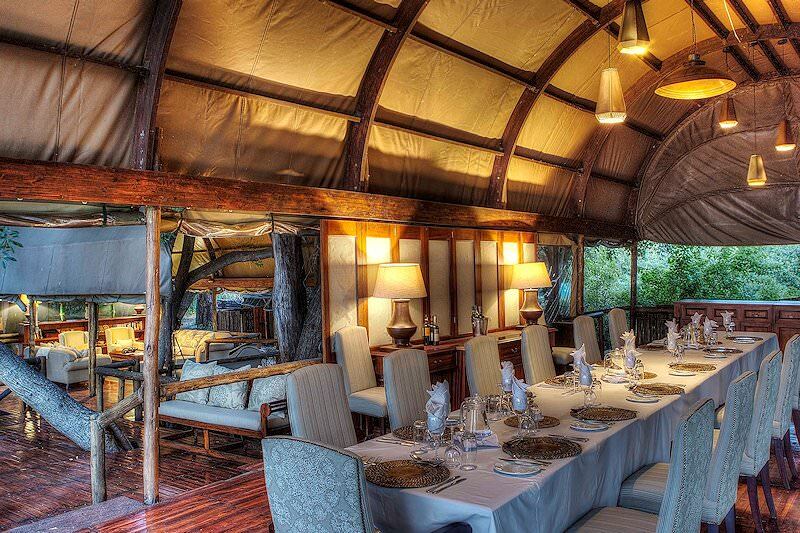 The African lodges we use in our safaris have been carefully selected for their high service levels and the quality of game viewing available.